Today's newspaper had a report about a school teacher ruining the $60 of a primary school kid. I guess the boy definitely did not have his hair cut here. I was walking at Beauty World Centre (ya, what a coincidence that the shopping centre is called Beauty World!) 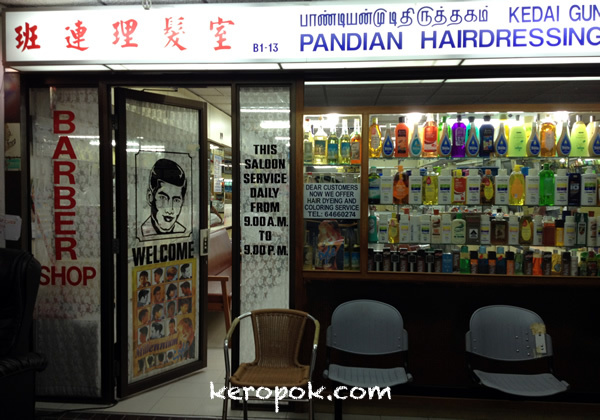 and saw this super old school hair dressing shop still around! I am wondering how long has this shop been around?